Heart disease is still the number one killer in Jamaica and the world. One of the most common and troublesome forms of heart disease is heart failure, also called congestive cardiac failure (CCF). This Tip Thursday, we share some information from Dr Tony Vendryes on how to prevent a heart failure. Know the cause. Heart failure may result from several disorders affecting the valves in the heart or the heart muscle itself. High blood pressure, rheumatic heart disease, damage from a heart attack, lung disease, thyroid disorders, congenital heart disease, and poor circulation to the heart muscle itself are among the common causes. Know the signs. As the heart loses its pumping ability, fluid accumulates in areas like the lungs, liver and legs causing swelling and congestion. Breathlessness, particularly after mild exercise, and difficulty in breathing when you lie down often occurs. Fatigue, chest pain, loss of appetite, mental confusion, and frequent urination, particularly at night, are other common symptoms. Should you notice any of these symptoms, see your doctor immediately. Change your diet. 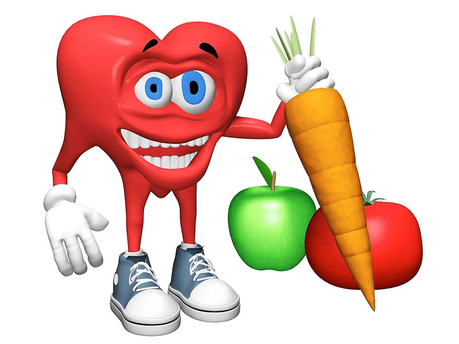 Dr Vendryes suggests having several servings of fruits, vegetables and their juices daily. Restrict your intake of the simple carbohydrates, unhealthy fats and salt (sodium) and use garlic generously instead for seasoning your food. Losing excess body fat is also extremely important as each extra pound is a further burden on the failing heart. Supplements can help. Several supplements play an important role in correcting CCF. Ingredients to look for include: Coenzyme QIO or CoQlO; magnesium; hawthorn; L-carnitine, an amino acid; the antioxidants A, C, and E; and omega 3 fatty acids. Get some fresh air and sunshine. Optimal oxygenation is vital in this condition and deep breathing of fresh air is a useful way to improve oxygen intake. Vitamin D is also important to heart health and blood pressure regulation and a daily sunbath is a wonderful physical and mental tonic for one with an ailing heart. Get some exercise. Exercise is good for the heart, but be sure to consult your doctor for advice on an the right programme for your heart condition. Manage stress. Chronic stress is bad for anybody, but is even worse for someone who has suffered heart failure. Many often end up anxious or depressed. The use of effective stress management techniques is therefore strongly recommended as a part of the treatment plan. It is also important to get enough restful sleep.